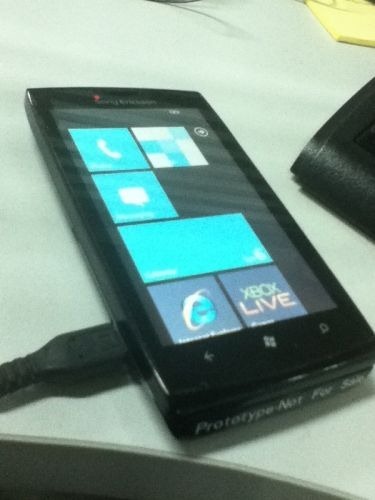 Check out these two shots of a device that is claimed to be Sony Ericsson’s entry into the wonderful world of Windows Phone 7. 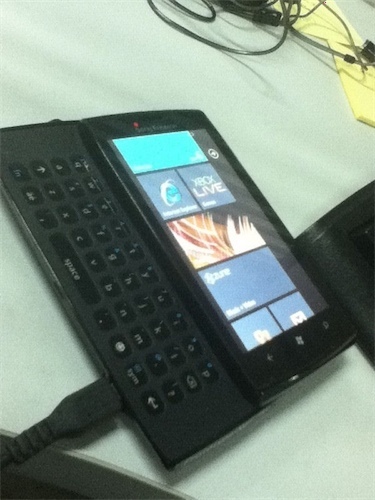 This prototype unit has a slide-out keyboard, which obviously WP7 doesn’t really seem capable of handling right now due to not rotating when the keyboard is out. There is some discussion that this might be a defunct prototype from Sony and Microsoft which never got out the door due to friction between the two companies, but we don’t really have anything to back that up — but this does look like an old build of WP.